Earlier this week, during my Artist Spotlight of John Burton (John Dayo-Aliya), I mentioned his play, “…Or Does It Explode?,” being a part of The University of Akron’s Rethinking Race Week. I finally got a chance to see the play in its full glory. 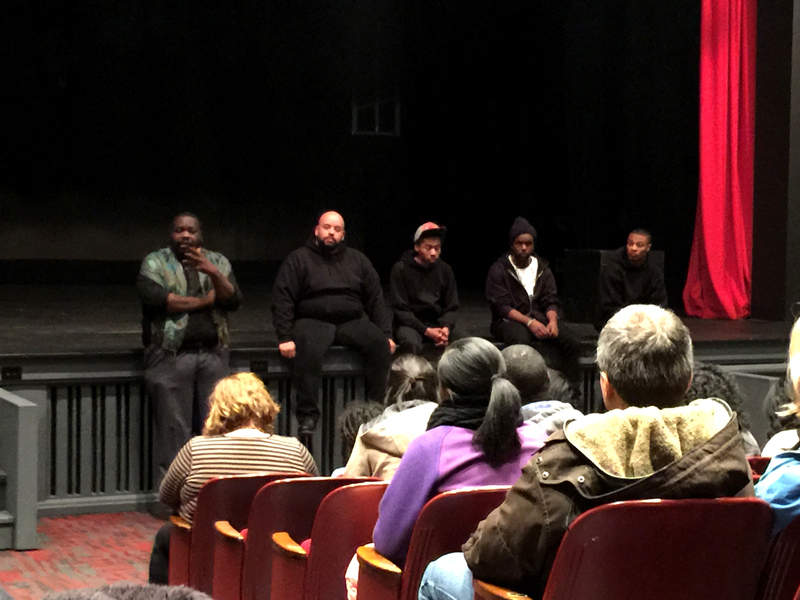 “…Or Does It Explode?” is a Ma’Sue Production that focuses on the daily life of Black men in America. It brings to light the injustices they face. Due to this country’s history of societal and institutional racism, quite often they are not viewed as just normal human beings. Either they’re invisible and voiceless or portrayed in a malicious light. 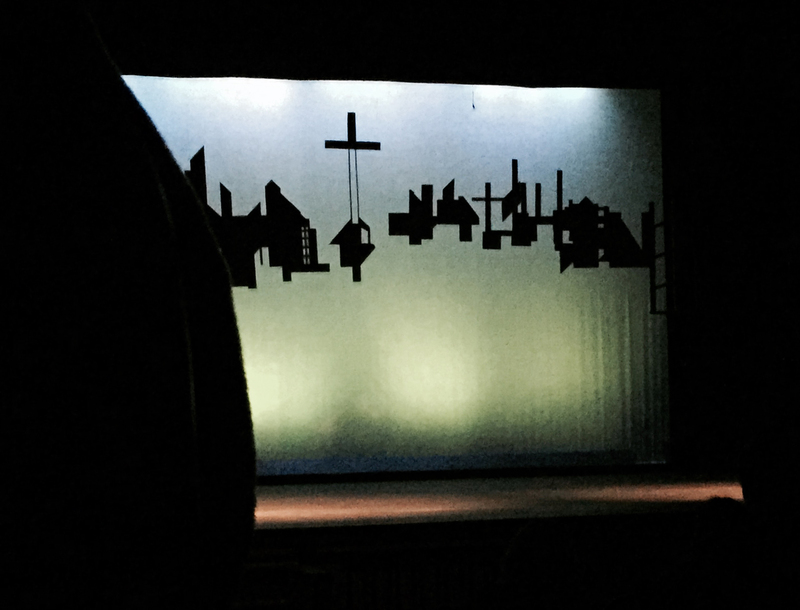 It has a very avant-garde feel with the simplistic set design and non-linear format. There’s a mixture of spoken word, monologues, and dancing. I don’t have a favorite skit because taking just one out doesn’t accurately represent what it made me feel as a whole. From the minstrel show to the suicide piece to the story of the boy being ignored in a predominantly white school and bullied in the all black school, they all touched a piece of me. The latter one was probably the one I was able to connect with the most. The actors have the ability to really invest themselves into their characters and draw emotion from the audience. It was uncomfortable, enlightening, and brave. Wow. That isn’t to say that it was completely serious. Burton has a way of interjecting bits of comedy to lighten the mood. Our lives are not all somber and I appreciate how he was able to capture that. They wrapped up with an informal Q&A in which the vast majority of people praised it. One comment stuck out because it was the only negative one. The woman seemed to have completely missed the point of it all. 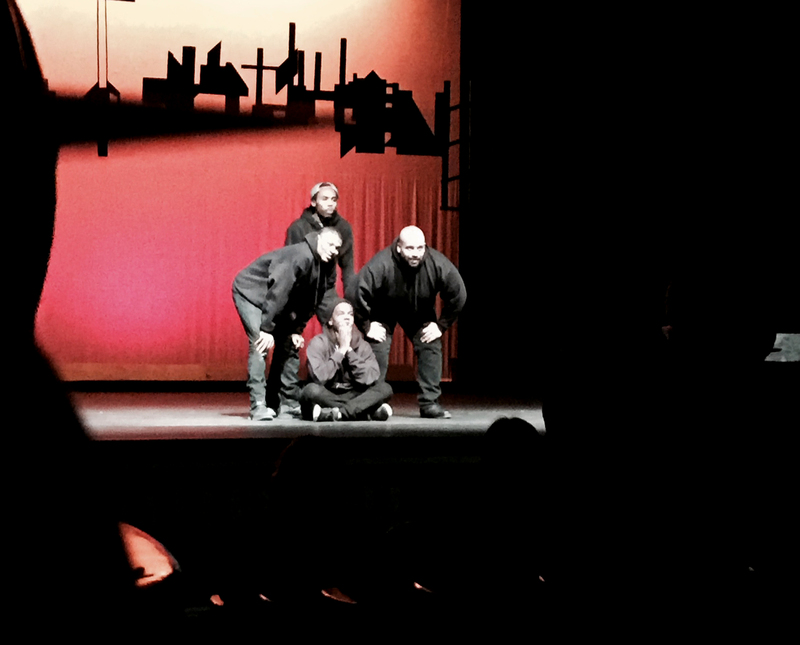 This was not a play focused on police brutality although it has pieces of it in it. She thought that Burton should update the play to reflect the more recent injustices. If he were to do that, he would have to update it almost daily. There’s more conflicts than those dealing with the law enforcement. I had such a hard time writing about this play. There’s so much more that I want to say about it and this doesn’t even scratch the surface. I’m conflicted. I’m so happy that he shed light on such a deep, dividing subject, but to reiterate what one of the actors mentioned, I hate that it had to even be made at all. I hear that this will not be the last time that this play will be performed. If you follow the blog’s official Facebook page, I’ll keep you posted as to when it will be performed again. Open Source Blog site – Open source at Google with news concerning Google’s open source jobs as well as programs. To make it harder, you have to make the call for 10 various sports as well as maintain your touch.